The first post for this year, I got accepted to pursue my degree in Journalism UiTM Shah Alam, being "incognito" for almost a year...I have lost myself recently...and where should I start? An illustration of a simple tree drawing would cross your mind, but my definition of tree is different. There are just days when I feel like giving up, then I thought of why I even started…..
Why do we need people in our life? Why do they even exist in our life in the first place? Friends? Families? Relatives? Special ones? Everyone crossed our path for a reason, some of them entered our lives to teach us lessons, leaving us nothing but deep wounds and scars, just like the dried leaves falling off from branches of a tree. Some people entered our life and bring us happiness…but just like the leaves…the happiness only last temporarily, soon flowers will fall too…leaving the twigs nothing but emptiness. People come and go, we’ll meet new people, time heals and we accept it as a part of the life process. Everyone undergo the same thing over, and over again, leaving people and perhaps end up being left by other people. Perhaps I’m tired of holding on….. The truth is, I miss my friend, the friend who has sacrificed a lot for me, the one who always there for me when I needed someone the most. Things change, we are separated thousands of miles apart….if someone asked me what is the definition of a best friend? There is no doubt to proudly claim that this particular friend who actually saved me when I was at my worst, nobody has taken good care of like this particular person did….but why Allah put this person so far away from me? Perhaps I need to learn not to rely on people…. Perhaps I was meant to be alone…. I was looking at a dead tree, where the leaves and flowers had long gone, leaving itself nothing but branches and twigs with cracked marks on the bark, it amazed me how the tree can still stand alone even though there is no spark of its life left in that solid body. Its strong roots still clawed the ground firmly. 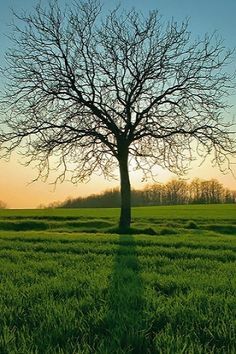 A dead tree, which still held its branches up, standing strong no matter how hard the storm hits, no matter how heavy the rain is pouring and no matter how hot the sun has burnt the earth….that tree would still be there, proudly and courageously stand on its own. Maybe Allah wants me to be that tree, standing proudly on my own with my branches still up high as if I wanted to reach the sky, that tree which stands even though every single leaf and flower has fallen off on the ground just like the people come and go in my life. That tree will stand through rain and shine, because in life….you can’t rely on other people to be happy, it’s you who decide your own happiness. I believe, I’m that tree and I will work on my own happiness and not too depend on people who would just come and go in my life.